Particip8tion is a key to unlock many of Festival 8’s delights. 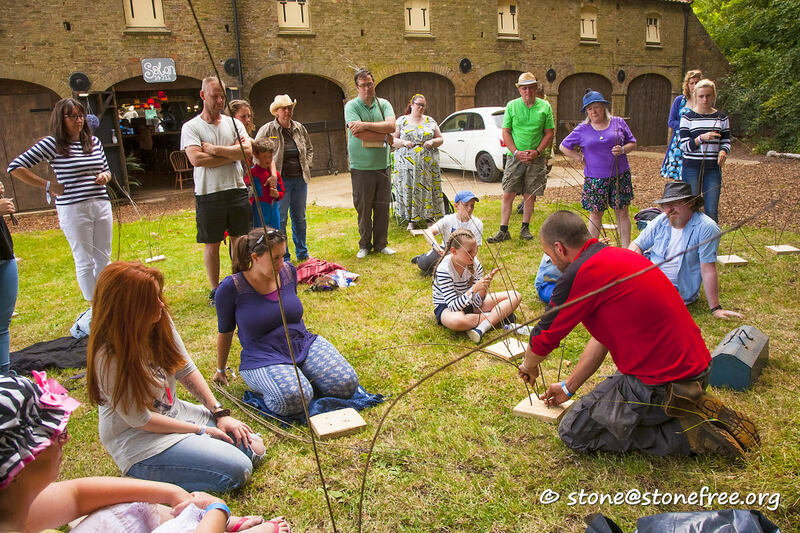 There is plenty of time to chill on grass in the midday sun, or lounge by a stage as musicians serenade and delight your ears, but more than this, we encourage you to join in with one or more of the other particip8ory workshop, games and activities…. We hope you will find it in your self to remember the childlike joy of joining in with something new or returning to an old activity perhaps left behind by the passing of years. Come take the time to learn a dance, perhaps how to spin or juggle or sing a song. Let us gather on the Main Field to play a giant game of Tig or take a stroll to the giant Maze. This is the beautiful Lincolnshire countryside, particp8 in its beauty. This is your festival and by your actions you help it become greater than the sum of its parts. Together we are stronger. Join in, join together for their lies a magic that cannot be found alone. Come back to this page as the web elves will update this page with things to do.